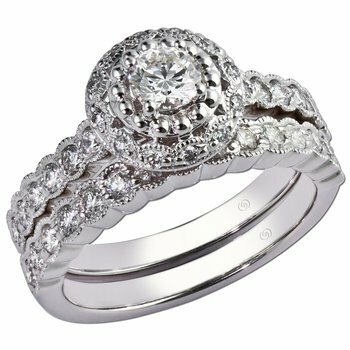 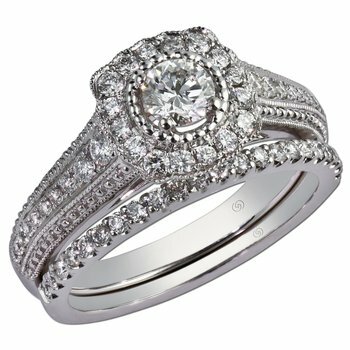 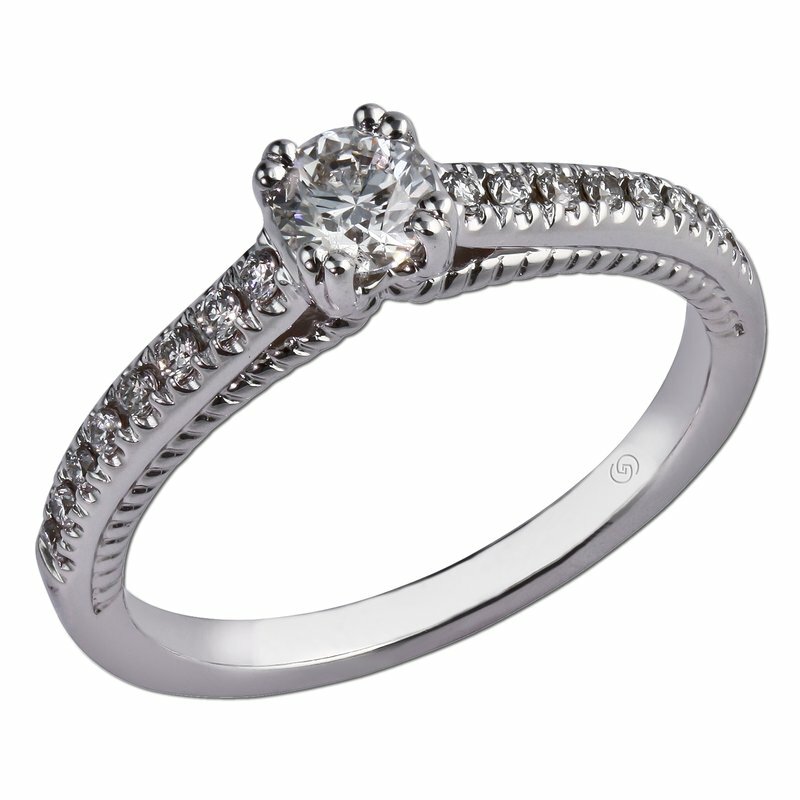 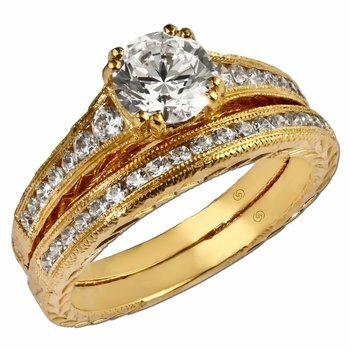 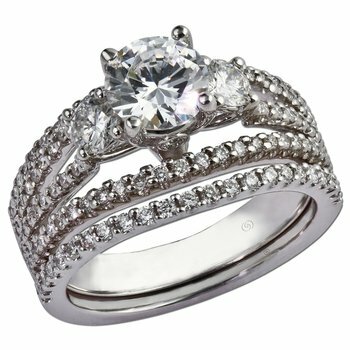 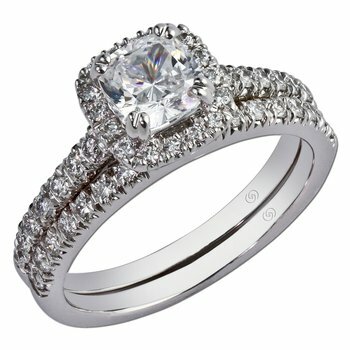 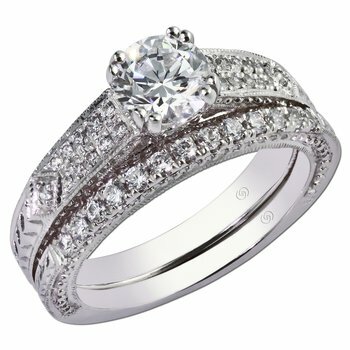 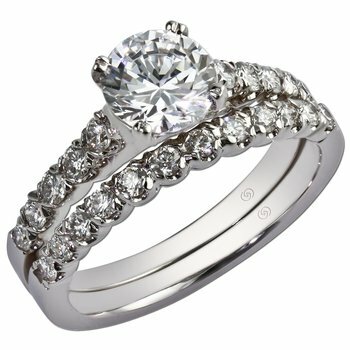 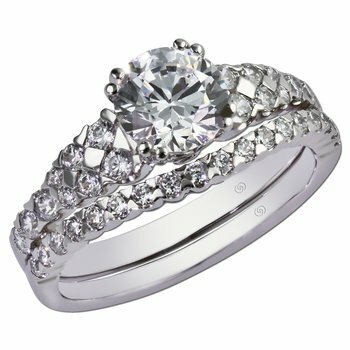 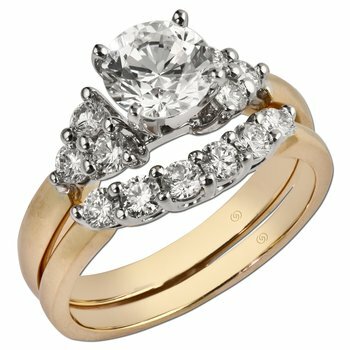 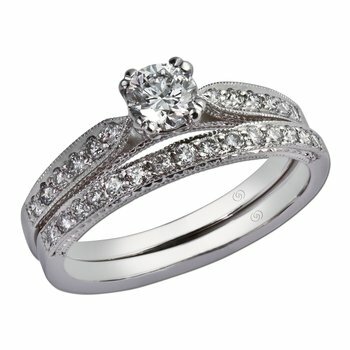 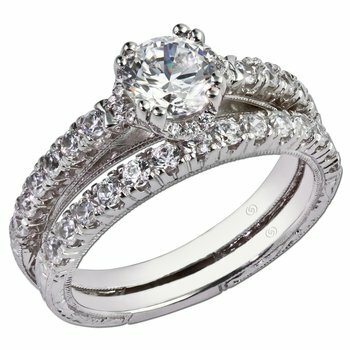 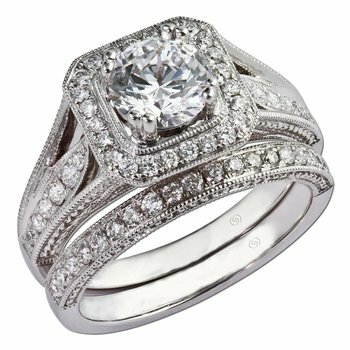 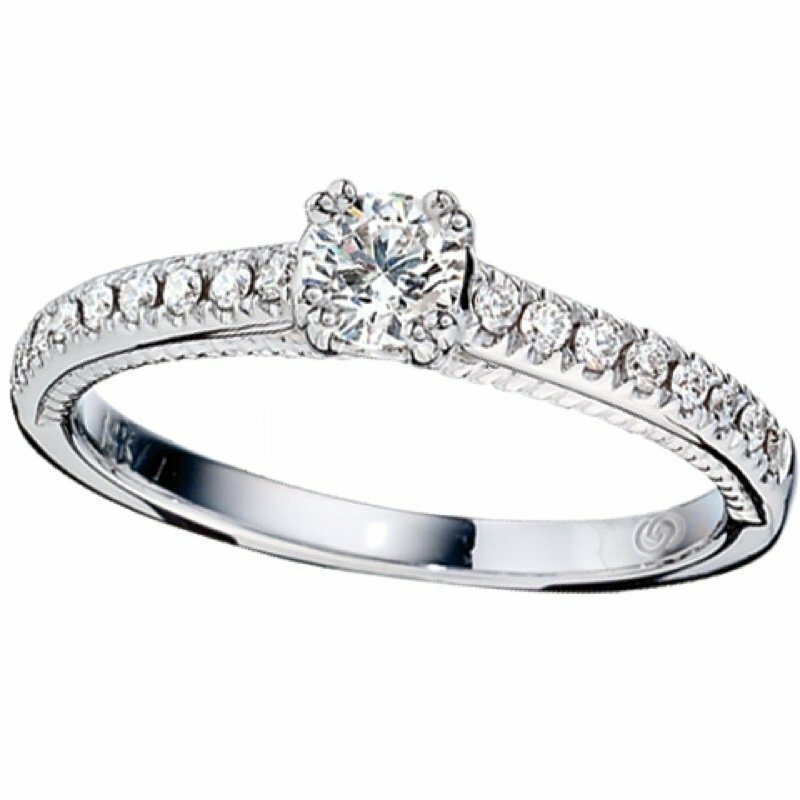 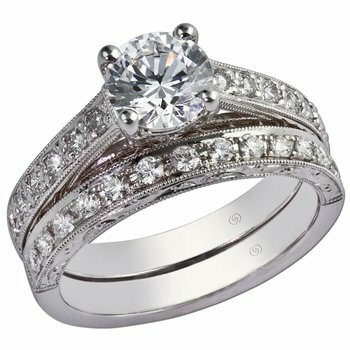 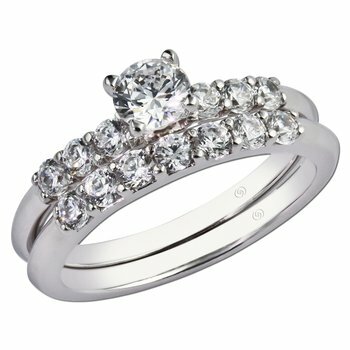 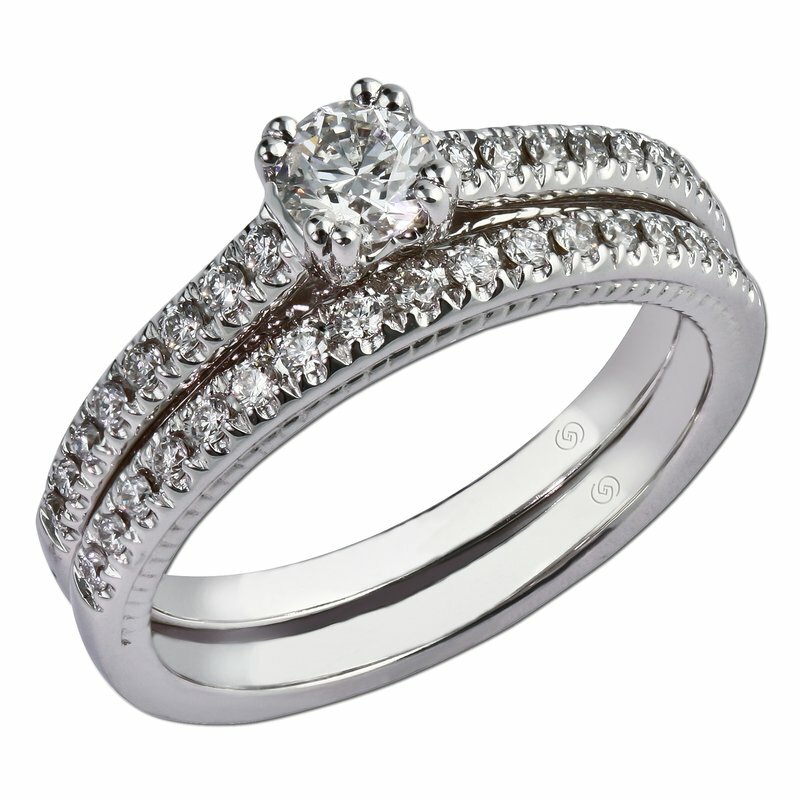 Just Beginning engagement setting sparkles with prong set diamonds up the cathedral shoulders, meeting a beautiful .32 round diamond. 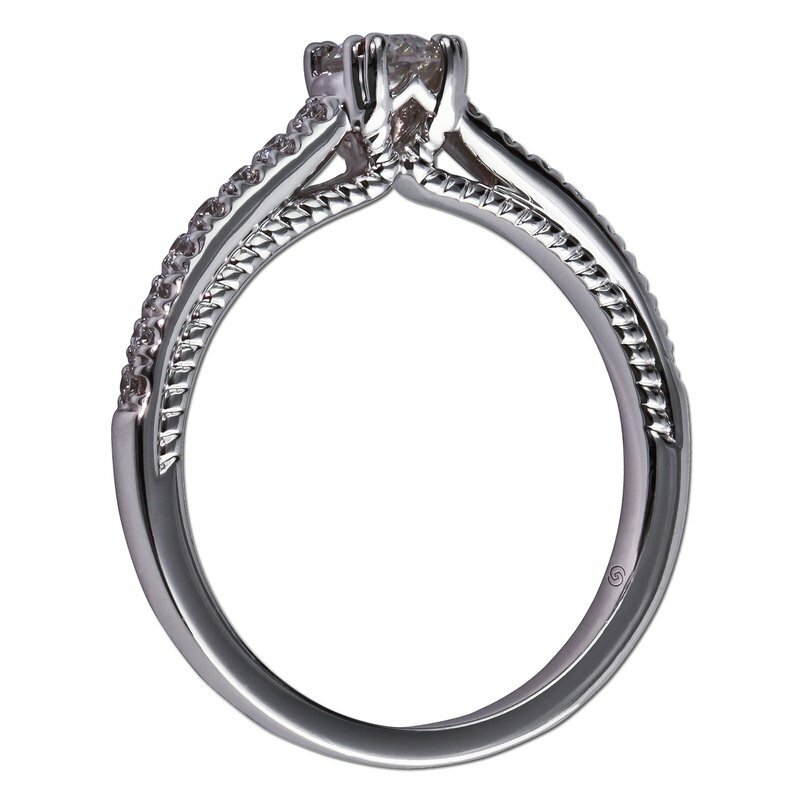 Along the underside of the shoulders extending into the gallery is a ropelike design, meeting at the base of the head, adding a subtle romantic touch to a classic piece. 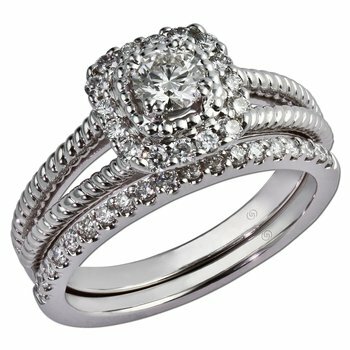 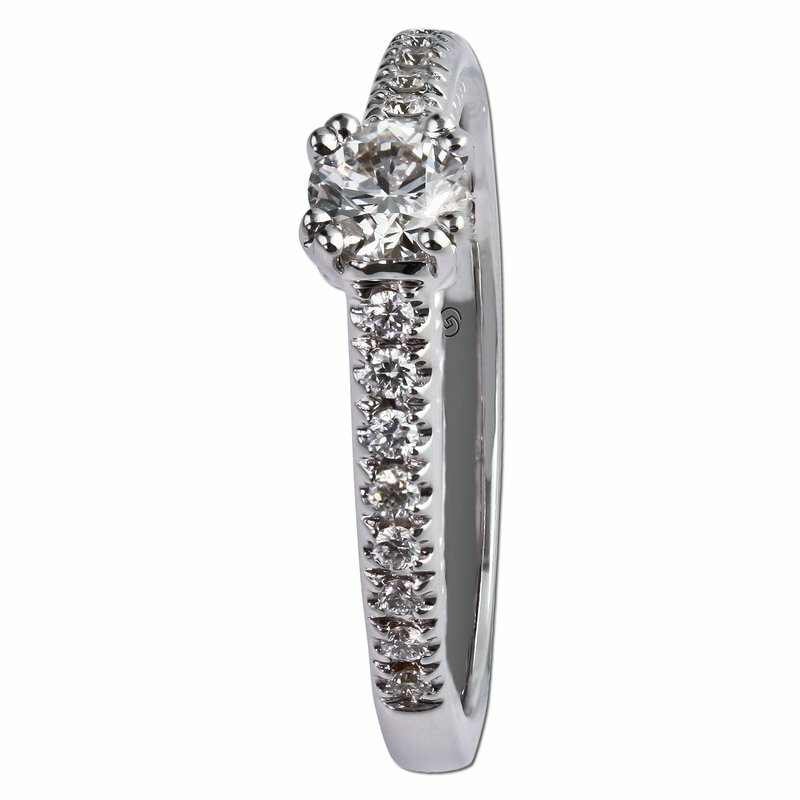 The wedding band is a row of prong set diamonds, the sides of the ring maintaining the same ropelike design, perfectly complimenting the engagement ring.